You are here: Home / Uncategorized / Volo is Go! 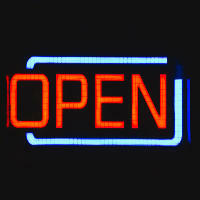 Volo FS is pleased to announce we are open for business. With a convenient location in Llandudno Junction, at Anson House, we are here and ready to help your business raise the finance it needs. Providing access to over 100 lenders, we are sure to be able to find a suitable product for your bridging and development finance needs. With over 10 years experience in the short term lending market, we know what it means to businesses to have finance available when it’s needed. We can save you significant time and money by comparing the market and over 30 criteria points for each lender we use. To talk funding for your business, call Tim on 01492 233 999, We can chat on the phone or if you prefer arrange a meeting at our office. Generally we are here during normal office hours but we are flexible, so if you want to talk outside 9-5, let us know.